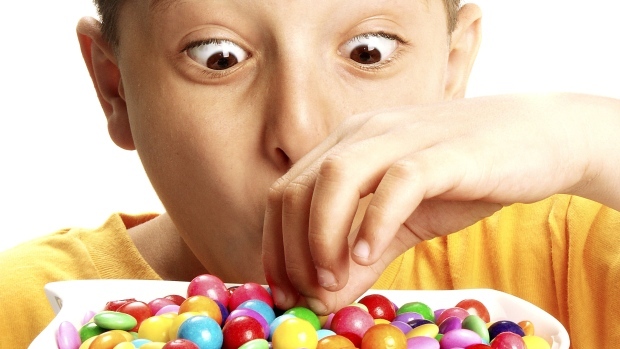 Is it very difficult for you to control your child from eating too many sweets, and are they always plagued with constant cravings for food especially the sugary treats? Unfortunately, if your child is among those who are greatly obsessed with food, you are most likely struggling in silence especially if you have to occasionally swap the sweets with their healthy meals. If you are trying to find ways to control your kids from eating too many of these sweet treats, here are a few ways that will help you control your children. It’s no doubt that your child is continuously faced with a lot of unhealthy and overly-processed sweets, but when they’re at home, you can make things a little more special by making some homemade desserts and wholesome treats for them. The idea of this method is to have your kids appreciate and even become picky when it comes to the sweets they enjoy, so they will most likely want “Mom’s brownies” instead of the ones you can buy in grocery stores that are loaded with too much sugar. Based on a study about Childhood Obesity in the year 2013, it shows that around sixty percent of parents with overweight kids greatly approve of controlling and regulating their child’s feeding practices such as restriction; however, restriction only distracts your child from what the real concern is. Dealing with the underlying concern instead of just watching them overeat to distract from that issue is a better method. Instead of restricting your children’s food intake, you should ask them why they act out too much when it comes to food; sit down and talk to them so you can thoroughly deal with the underlying issue. Instead of eliminating your kids’ sugary habits, try to shift their attention, focus, and energy to things that aren’t related to food or any of those sugary treats; instead, let them enjoy a hobby or let them engage in various activities that will help them connect with others. You can also go outdoors with your kids and play with the Whistlecopter toys, or have fun skateboarding around the community with the LED Skateboard. These simple yet fun things can help strengthen the bond with your kids, plus it can also let you and your child stay fit and healthy while averting their attention from their favorite sweet treats.